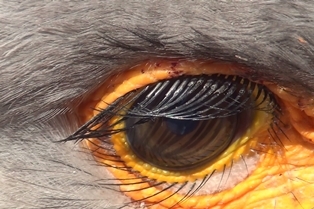 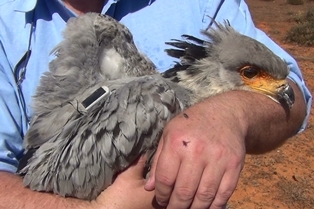 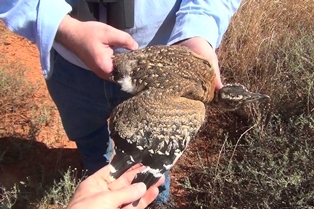 Ernst Retief, Regional Conservation Manager of BirdLife South Africa, was invited to ring 3 Secretarybird nestlings near Calvinia and put on satellite tags on 2 of the birds. 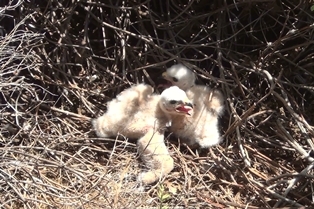 Ernst invited me to help and Francois van der Merwe showed us the nests of many birds, including our target Secretarybird nest. 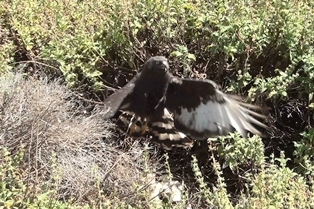 The following are a few of the photos that were taken. 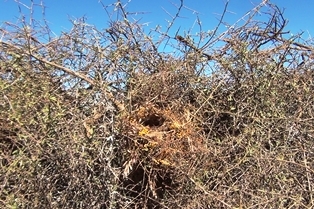 Several weaver colonies were photographed en route and on the farm near Calvinia. 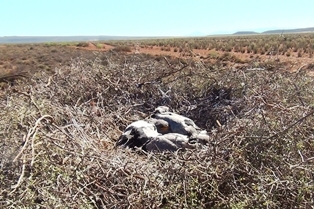 The largest Cape Weaver colony in the PHOWN (PHOtos of Weaver Nests) database, is at Swartland Engen, but on this visit only 211 nests were counted in the gums and poplars around the pond. 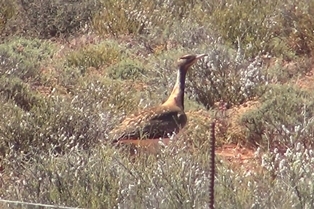 Thanks to Ernst Retief and Francois van der Merwe for a great trip and amazing bird experiences!